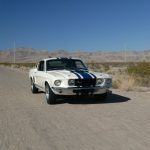 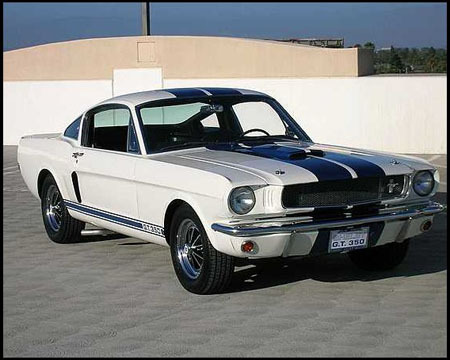 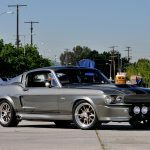 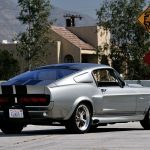 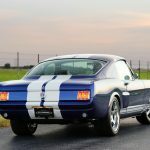 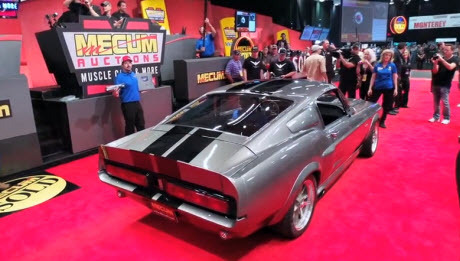 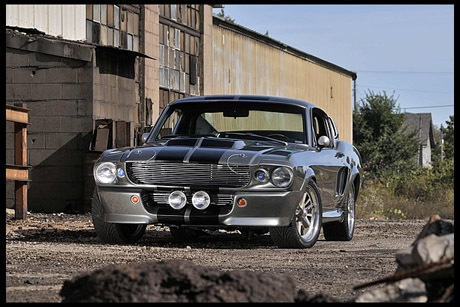 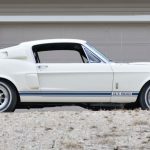 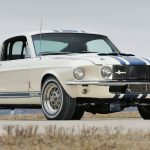 Classic Recreations, a bespoke coachbuilder known for its award-winning Shelby muscle cars, will offer a prototype 1966 Shelby G.T.350CR through Mecum Auctions on Aug. 16, 2013 at 4:05p.m. 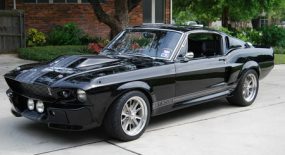 (lot number F165) during Monterey Car Week. 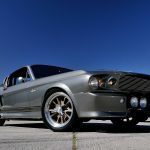 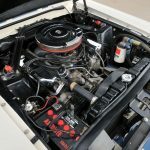 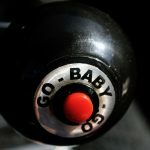 This one-of-a-kind build is the first 1966 G.T.350 continuation car from Classic Recreations, a company already revered for its popular ’67 Shelby G.T.500CR builds. 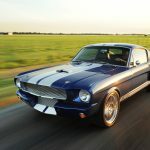 The Shelby-licensee combines classic Shelby styling cues, such as functional brake scoops, riveted quarter window covers, side exhaust and iconic LeMans stripes with modern technology to create a turn-key supercar with modern performance and reliability and iconic good looks. 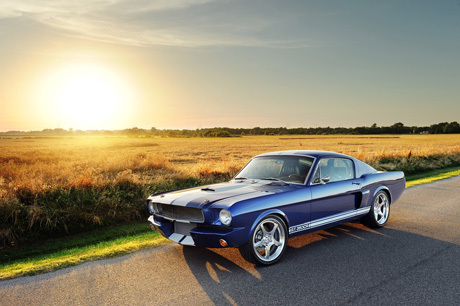 The 1966 Shelby G.T.350 is one of the most beloved sports cars ever built and I’m thrilled to contribute to the Shelby legacy. 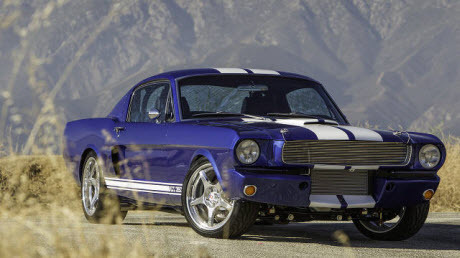 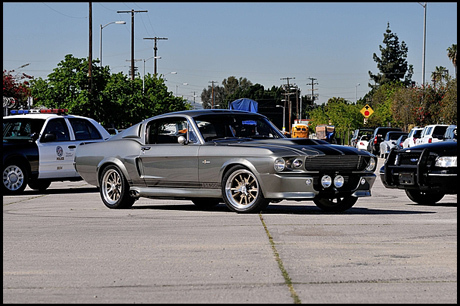 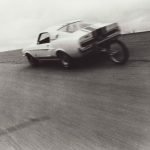 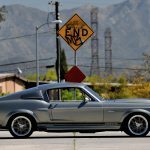 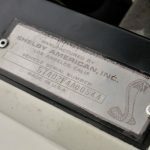 This first-of-its kind Shelby (serial number SCR350-00P) was built with input and oversight from Shelby Licensing, starting life as an original 1966 Mustang fastback before undergoing a complete ground-up rebuild. 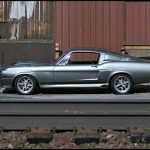 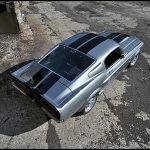 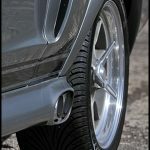 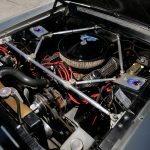 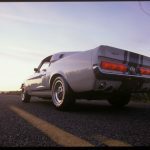 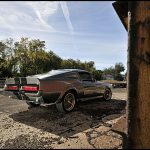 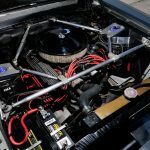 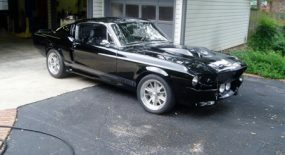 Features include a 545hp fuel injected 427 cubic inch (7.0L) small block Ford Racing crate motor, coil-over suspension, power rack and pinion steering and a Tremec five speed manual transmission to add to the modern driving experience. 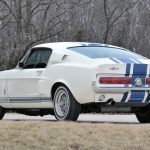 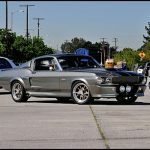 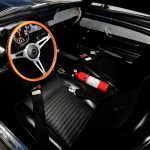 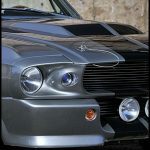 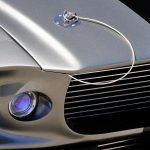 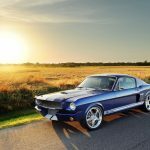 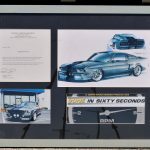 Other features include Carroll Shelby signature rally series 1000 seats, climate control, a top-shelf sound system, a dual-tank Nitrous injection system, bespoke forged three-piece HRE Performance wheels, Wilwood brakes and custom paint. 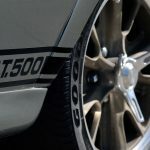 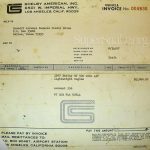 The G.T.350CR prototype comes with an official Shelby serial number and will be included in the official Shelby American World Registry. 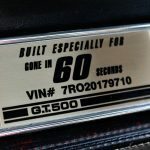 Full specs are included below. 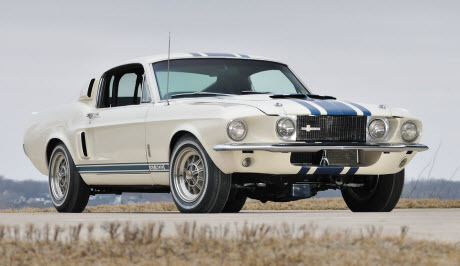 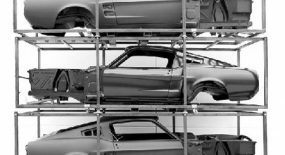 After the prototype is auctioned, Classic Recreations will begin taking orders for Shelby G.T.350CRs with a limit of ten each year. 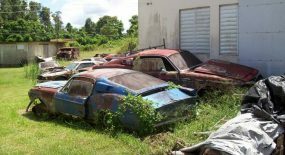 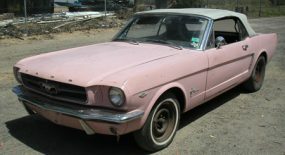 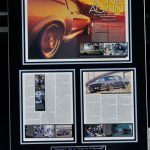 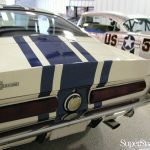 More information can be found on www.ClassicRecreations.com and www.Mecum.com.